September 2, 2015, Commack, New York – Tamron, a leading manufacturer of optics for diverse applications, announces the launch of a new series of SP lenses that are optimized to make the most of the superior imaging performance delivered by the latest advancements in digital photography. Sporting a totally revamped external appearance, the new lenses provide the ultimate in functionality and operation. The first two lenses in the series are compatible with full-frame DSLR cameras and offer fast apertures and versatile, fixed focal lengths. The pair consists of the SP 35mm F/1.8 Di VC USD (Model F012) and SP 45mm F/1.8 Di VC USD (Model F013), and both can be used with APS-C format cameras as well. The lenses will be on sale in the U.S. starting September 29, 2015 in Canon and Nikon mounts (the Sony(1) mount to be launched at a later date). The approximate price of each will be $599. In 1979, Tamron unveiled the first SP Series lens, the 90mm F/2.5 Macro, a legendary product that was designed to achieve the highest level of performance possible. Since then, a significant number of lenses designated SP have been introduced. During the ensuing 35 years, cameras and imaging devices have made dramatic advancements and diversification centered mostly around innovations in image sensor technology and sophisticated signal processors. 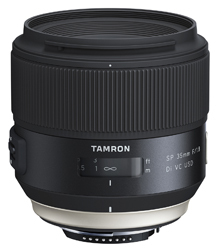 Constantly innovating, Tamron developed new lenses to stay abreast of the exciting technological evolution. Lenses launched after 2012, including SP 24-70mm F/2.8 VC USD, SP 70-200mm F/2.8 VC USD, SP 90mm F/2.8 MACRO 1:1 VC USD, SP 15-30mm F/2.8 VC USD and SP 150-600mm F/5-6.3 VC USD, received rave reviews for their high performance and richly refined functionality to sustain sophisticated requirements of the latest DSLRs with high pixel counts. To leap forward, Tamron has gone back to the root of optics to redefine all of the core attributes of lenses to be selected as photographers’ “ultimate partners.” The new series of SP lenses are developed seeking the highest level of performance, functionality and maneuverability, and a prestigious external appearance that reconfirms the high quality of the properties that are inside. To develop these two standard fixed focal lenses, goals were established to provide exquisite characteristics certain to set them distinctively apart from ordinary, conventional models. This required a new approach. All of the key performance criteria were redefined to achieve the ultimate in optical performance. VC (Vibration Compensation) was incorporated as an integral part of the opto-electronics design to expand shooting freedom. Priority was set to allow dramatically closer focusing capability to remove what would otherwise be a barrier to the subject. Yet with all this innovation, the overall mechanical package had to be kept within practical size limits with an elegantly sophisticated external design as a human interface. Having optimized every prerequisite, remarkably versatile lenses have been developed that boast amazing performance from F/1.8 wide open aperture. These lenses can be enjoyed by users of APS-C cameras as well as full-frame. 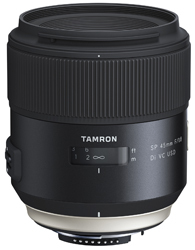 Optimal use of the latest glass materials, coupled with Tamron’s world renowned optical design technology, thoroughly compensated for aberrations of all types to achieve higher resolving power, while fine textures of materials and details are reproduced with subtle tonal gradations. The F/1.8 aperture delivers more light to the viewfinder—making it brighter for easier focusing – and more light to the sensor, allowing use even in very dim lighting conditions. In addition, the bokeh (background blur) effect obtained using the F/1.8 fast aperture delivers impressively smooth and soft transition from the main subject to the background. Both models deliver astonishingly short MOD (Minimum Object Distance) not available from other 35mm or 45mm standard lenses. Photographers can get closer to the subject with ease, unleashing new photo opportunities with an expanded scope of freedom. Superb image capture is ensured throughout the entire range from the closest to normal shooting distances, thanks to Tamron’s proprietary Floating System built into both lenses. Beneficial under all lighting conditions and especially useful in low light levels, the VC function provides noticeable advantages for handheld shooting by minimizing the adverse effects of camera shake. Cameras with high pixel densities, in particular, are sensitive to minute vibrations which cause unsharpness and degradation of image quality. VC works to ensure the maximum imaging performance even in dim lighting to allow photographers to enjoy the fast F/1.8 maximum aperture to the fullest extent. Opening a new chapter in the SP legend, product design, opto-mechanical construction and engineering processes are totally integrated. 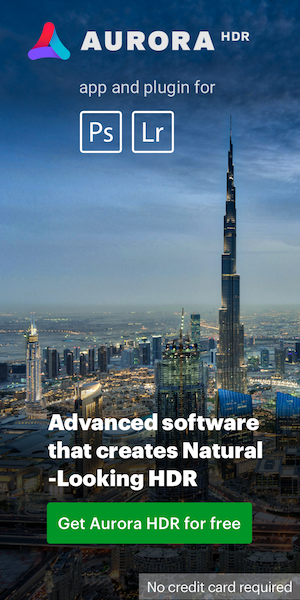 Every single detail and operating function has been thoroughly reexamined, explored and matured to a form that has a friendly, human touch.